This is the first page of my double layout of Tony and Amber’s wedding. I’d not scraped a black and white photograph before and didn’t really know where to start, however I’m pleased with the final result. This is the second page. Amber certainly look beautiful and radiant on the day. It wasn’t really difficult to choose captions for these pages. I don’t think I have seen a more radiant bride than Ams, and she thoroughly enjoyed her day. Now the two pages together. I really must get a move on with this album, the happy couple have already celebrated their first anniversary. Chop, chop Jacqui! Products used are all Stampin’Up! of course! There’s lots of embossing on these pages and it took a-g-e-s- to do. Each letter had to be stamped and embossed individually. It was worth the effort though, I just love the embossing effect on the black cardstock. The embossing buddy was invaluable. Remember to use it every time before you emboss. 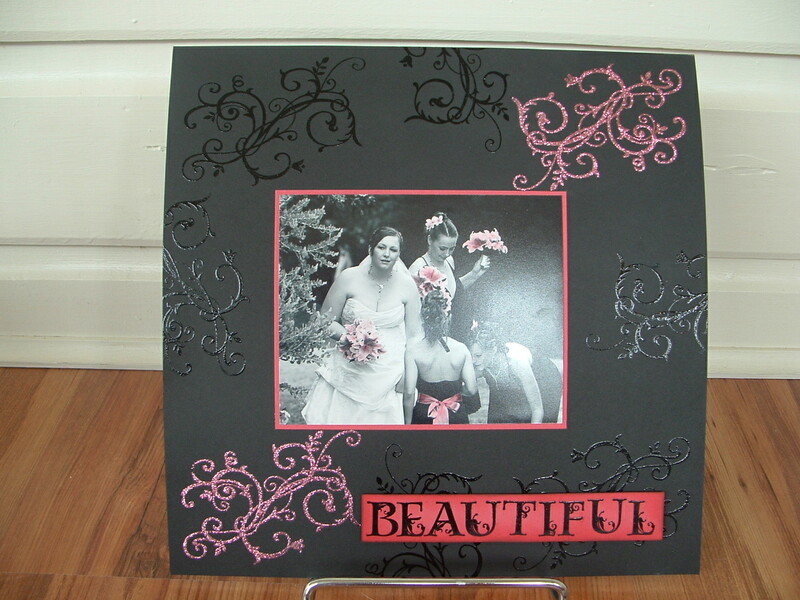 It stops the static spraying of the embossing powder over the cardstock. Although the photographs are black and white, I have added pieces of colour to the flowers and Ambers necklace using the aqua brush and ink pad ink. I really like the effect that it creates of the small amount of colour in the black and white print. I hope you like these pages as much as I enjoyed creating them. 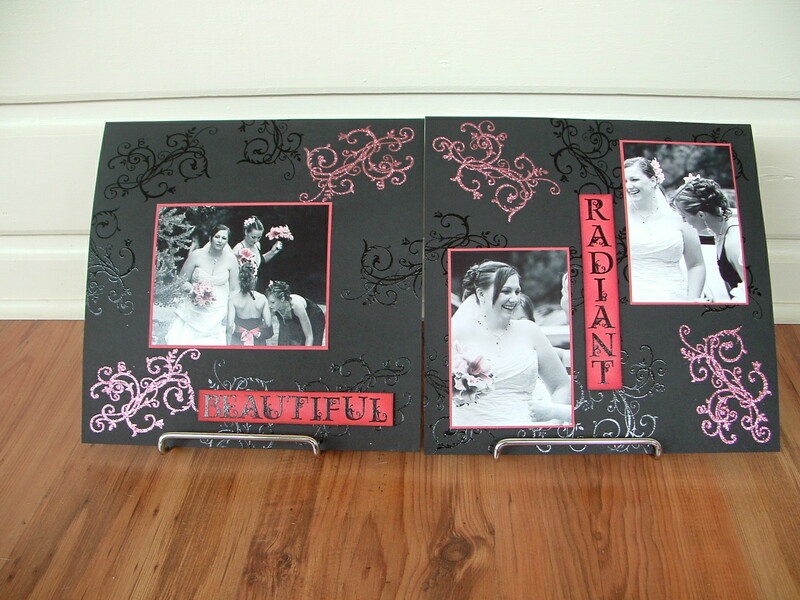 Please leave me a comment as I’m a scrapbook novice and would like some feedback. Lovely pages Jacqui! The embossing may have taken time but it is certainly very effective! Just gorgeous Jacqui! 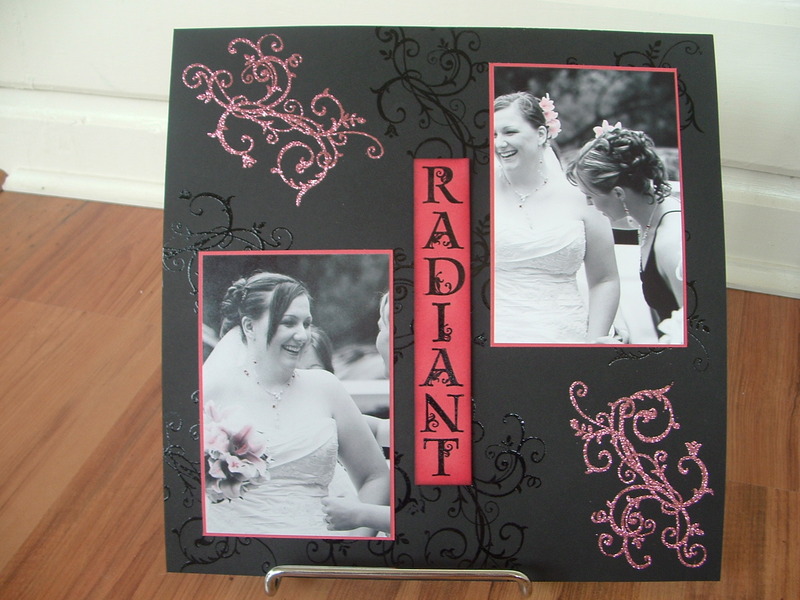 I love the clear embossing on the black cardstock, very elegant. Can’t wait to see more! What great layouts, these pages look terrific.